Despite producing fine performances in the Champions League double-header against Crvena Zvezda, Spartak Trnava eventually failed to make it to the final qualifying round of the elite competition. 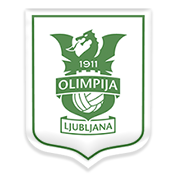 The Slovak champions are now on a quest to book their place in the Europa League group stages, but beating Olimpija of Slovenia is easier said than done. The Slovenians proved their worth in the two-legged tie against Helsinki, but it has to be noted that they were outclassed by Maribor (0-3) in the SNL derby at the weekend. 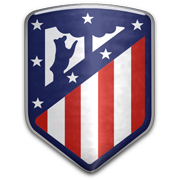 The two teams seem to be evenly matched at the moment and we predict that they are going to play out a draw at Stadion Stozice on Thursday. You should bear in mind that Olimpija and Spartak Trnava have never met before in a competitive match. Founded in May, 1923, Spartak Trnava are a Slovakian side that won the Czechoslovak First League on five occasions. Spartak Trnava won their first title in 1968 and five years later they won their last domestic trophy in Czechoslovakia. Speaking of the Slovak top flight, the White Angels won the domestic trophy in the 2017/2018 season, with the team finishing the process nine points clear of second-placed Slovan Bratislava. Spartak Trnava wear black shirts with red stripes when playing at home, while the colour of their away kit is white. The White Angels play their home games at Stadion Antona Malatinskeho, the stadium which was opened in 1921. The venue can hold up to 19,200 spectators. The likes of Jozef Adames, Igor Balis, Bello Babatounde, Karol Dobias, Vladimir Hagara, Matus Conka, Lubomir Luhovy, Jean Paul Farrugia and Dusan Kabat are some of the club’s most notable footballers. 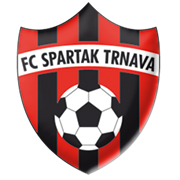 Slovan Bratislava are considered Spartak Trnava’s main rivals.